Danny, a former investment banker with a Master’s degree, experienced homelessness for one year after losing his job. 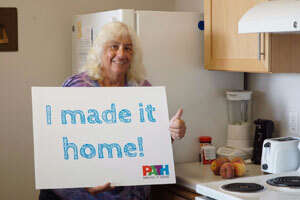 He stayed in PATH’s interim housing before moving into an apartment of his own at one of our permanent supportive housing communities. He’s working towards taking his CPA exam, volunteering, and finding a job! Welcome home, Danny!